Read how this simple helpful gadget chops the Watts to save you cash and carbon! What Should a Power-saver Plug such as LIME be Used With? How Do You Use the LIME Plug? 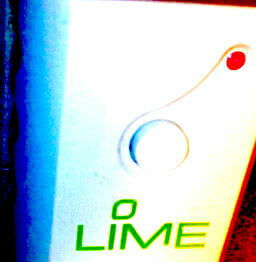 Has the LIME Plug been Reliable? 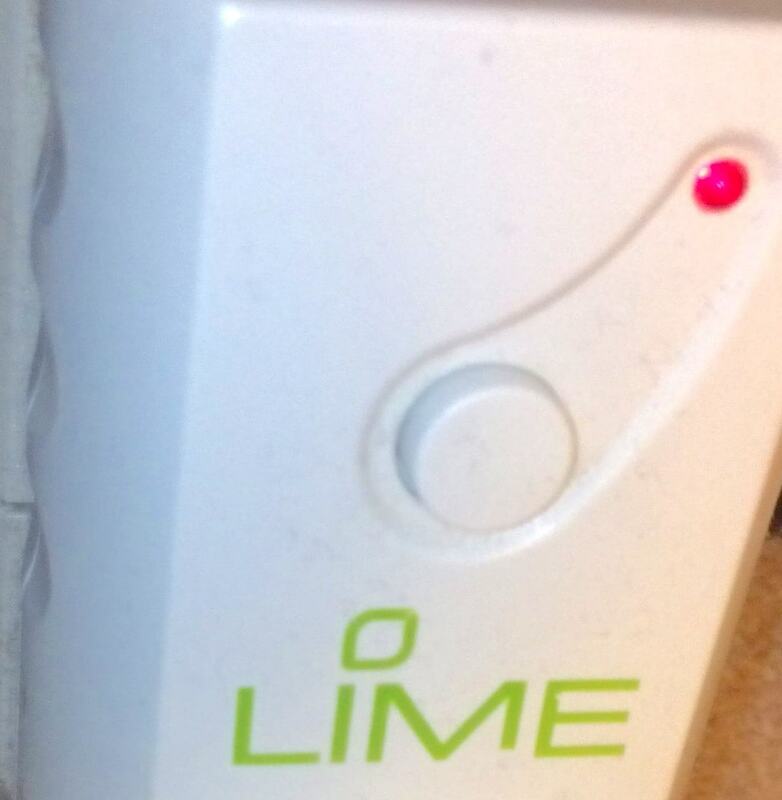 Was the LIME Plug Recalled? The LIME plug works well for us saving lots of energy from our TV and its related gadgets, so get something similar to help turn your unused stuff off too! On a "hot deals" Web site in December 2010 we found a description of this free energy-saving gadget and we signed up. It arrived early January 2011. Before getting or deploying one of these energy-saving plugs, consider measuring what all your plug-in gadgets and appliances use with some kind of power meter. A common application for such a saver plug is the TV/stereo. But you may find that some of your kitchen appliances (eg microwave, toaster) can also be handily zapped when not in use. Look out for those with illuminated displays and unused clocks in particular. The instructions were slightly confusing to me. But simply enough, after switching this on at the wall (or after a power cut), or after pressing the reset button on the front, all the appliances plugged into it will be off. Then the plug will be ready to learn the remote control command to operate it. The plug has what looks like an alien eye on a wire to watch for your remote, Put this somewhere you can easily point your remote control at. Then pick one of your infrared (IR) remote controls (ie tried those for our cable-TV box and our DVD player) and pick a button to switch the saver plug on and off with. Because we don't want our DVD and cable TV box out of standby at the same time it's best not to use the power button of either of them. Pick another unused button instead (most controls have lots). I picked the 'subtitles' button on the DVD remote control. When the LIME plug is waiting to be reprogrammed (with its indicator light slowly flashing) point your control at it and press your selected button. The indicator will then flash quickly and go off. You can then turn on the appliances/gadgets plugged into with with another press. After at least a 60-second wait, press once more to turn them off. The 60-second delay before turning everything off probably helps avoid damage, and allows a graceful shutdown for any gadget whose 'off' command you use! The plug starts up with the socket off when powered up. This may be when first plugged, in or after a power cut. I had wondered if this was a good idea. Would it make it hard to get at to reprogram after such a cut? But because wthe plug comes on immediately waiting to be reprogrammed, there's usually only one extra button push to turn everything on. I had a little more difficulty setting the LIME plug up with one of the controls than the other, but that might simply be operator error! Setting this up for our TV/DVD/etc already on one trailing 4-way trailing socket took all of about 5 minutes (having previously practised with the controls). The sensor 'eye' was temporaily lashed up (not using the sticky pad). It proved to be out of the way of the youngest pair of hands in the house. The sensor still works tucked away beside the TV, not in immediate sight. It seemed reliable after just a few days' use, even when our daughter turned everything off at the wall in confusion, and it only needed in effect the one extra push of the button to reprogram as suggested above. After a month or so we felt that it worked completely dependably. It is good in situations such as ours where the wall switch is not easily accessible. A simple well-designed product, bravo! Update 2018/03/18: still going strong after over seven years! Yes, one batch was recalled. We have found a potential safety problem with a batch of the LIME Energy Saving Plugs, Model Number ES1017, which can be identified via the label on the back of the plug. The problem was identified following feedback from a very small number of customers who had experienced some problems with the individual pins of the plug that either fell out or remained in the socket when unplugged. The batch of affected plugs relate to the 'FLUSH' campaign that ran from mid November to 6th December. You will not have received a letter from us if your plug was ordered through a different promotion because this plug was supplied from a different batch and is not being recalled. If you have a plug from the above batch, then we recommend that you stop using the plug immediately and turn off the wall socket power switch before removing it. All customers who registered to receive one of the plugs via the above promotion recently received a letter from us and will shortly be receiving a replacement plug of a different model. If you had a plug passed onto you by someone else, then we have advised the registered recipient of the plug to pass on the recall notice. Don't just standby, start saving energy with a free LIME energy saving plug worth £19.99. This intelligent plug turns your appliances off standby in one easy click via your remote control. Households in the UK now spend around 10% of their electricity bill on standby power, with the average household having up to 12 gadgets left on standby at any one time. (source: Energy Saving Trust). Leaving items on standby wastes energy and money, so start thinking 'savings' not 'standby' with a free LIME energy saving plug and you could save up to £20 on your energy bills. The oneclick range of saver plugs. First published 2011-01-09 , updated 2019-04-22 . Site copyright © 2007-2019 Damon Hart-Davis. Hosted by ExNet.